Settling into Sabor feels like you’ve arrived for a long weekend at your cool, eccentric, (and very wealthy) young Spanish uncle’s holiday home. Casual but opulent, the space is cavernous. Built-in bookshelves with curios run the length of the wall, teal and purple plush curtains hang from the ceiling and curved cherry-red leather booths for four punctuate the dining room. A large central bar glows neon yellow. On the speakers, Buddy Holly follows Ingrid Michaelson follows Drake, and you imagine that you just hit shuffle on your ultra-hip friend’s Spotify. It’s all over the place, but works brilliantly. 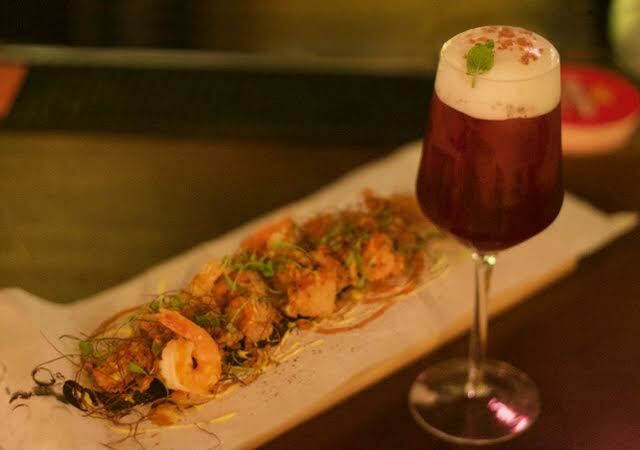 Sabor comes from the mind of Diego Guerrero, the forward-thinking chef behind Madrid’s one-Michelin starred DSTAgE. Difference in name aside, in many ways, it’s his Shanghai outpost of the Spanish restaurant. Guerrero splits his time between the two (more Madrid than Shanghai) with economist turned- chef Gonzalo Sainz Garcia, previously in London’s Barrafina and the Gordon Ramsay temple Pétrus, in Sabor’s kitchen on the daily. In a city where you can easily drop a few hundred RMB a person on a nothing-special meal, Sabor’s pricing feels like a bargain. There’s no menu, no indication of what you might be served, only price points. Pick from 300RMB, 400RMB, 500RMB per person for eight, nine and eleven courses, respectively. The flavours in early courses are distilled into one- and two-bite pieces, complex little worlds of themselves. 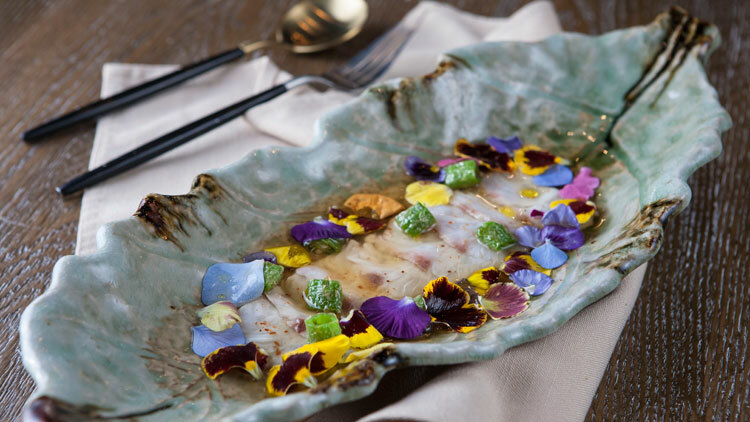 Two seashells – each bearing a single, quartered scallop in a pickled sauce with chilli – open a recent meal, arriving in a wooden box set atop a bed of seaweed. Dry ice smoke billows forth and spills out onto the table. It’s a welcome, but light touch of fanfare to the meal’s start. It is also delicious. Next come tiny, wonderful rectangles of smoked eel atop ingots of a puree laced with the flavours of almond, chocolate and coffee, tucked into a perilla leaf. Equally seductive are the duck skin wafers sandwiching foie gras mixed with duck mousse – a clever, successful twist on Peking duck. 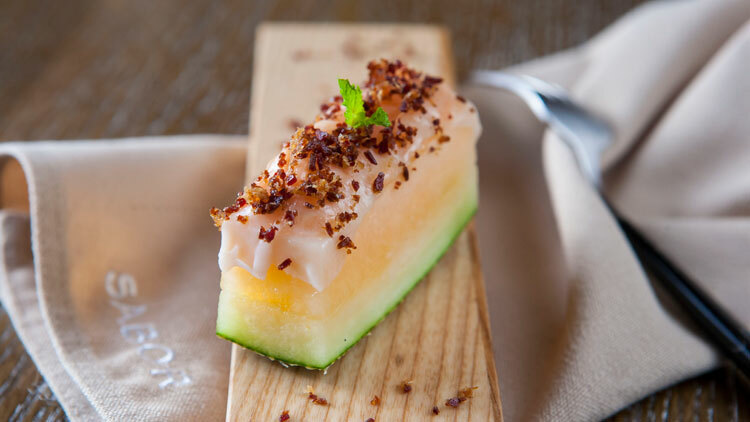 Hami melon draped with pancetta, stuffed with orzo and cheese and sprinkled with bacon riffs off the classic duo of melon and prosciutto, but elevates it with an extra luxe factor. The larger dishes to share don’t hit quite as hard as the small bites. A long platter of crispy calamari with batter-fried shrimp and octopus drizzled in chilli sauce and aioli is gorgeously presented and totally fine, but doesn’t surprise and delight in unexpected ways that the best dishes do. Slow-cooked hamachi sashimi dressed with a tomato consommé, soy sauce and five spice seasoning is mild and smooth but heavy on the umami, with occasional burst of spice from chopped, blistered green chilli. Ultra soft and silky, the sashimi comes slightly warm – weird and almost off-putting, but ultimately inoffensive and, in fact, works in the meal’s context. Weirder still is the prodigious portion of Icelandic cod with a tangle of dried kombu. It’s buttery and melt-in-yourmouth in all the right ways, but in a terrible turn of events, smothered in a gluey, caramel-coloured sago fish sauce that tastes like almost nothing. 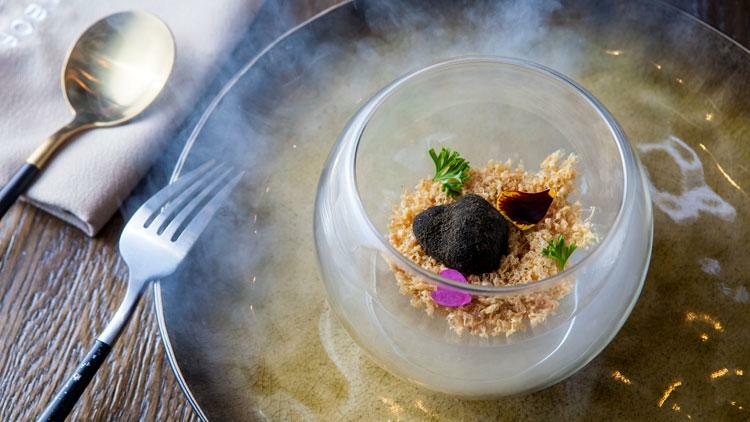 Back in top form, tender blackolive crusted tenderloin hides under paper-thin squid ink chips. An accompanying carrot has been fashioned to look like a chilli, and the whole dish only confirms that Guerrero and Garcia are at their best when there’s a palpable glint of play in their eyes. Dessert? An egg. (Well, an egg with a creamy coconut ‘white’, a mango ‘yolk’ and a blonde chocolate ‘shell’, served in a nest of toasted coconut.) It’s a longstanding Guerrero classic from his time at El Club Allard – where he nabbed two Michelin stars – and deservedly so. 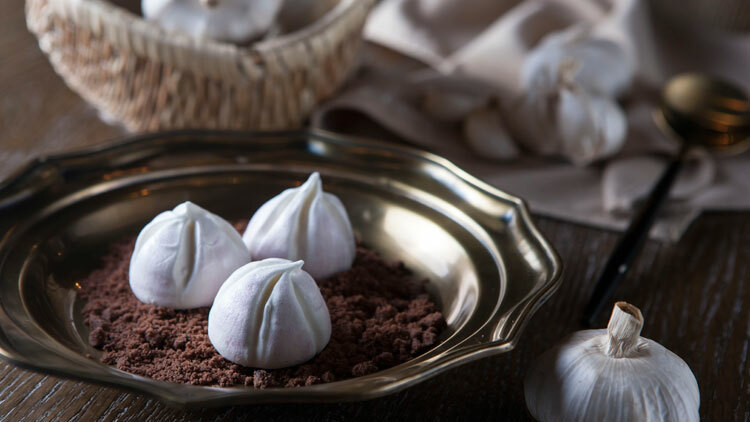 Playful, fun and experimental in a way that’s not yet the norm in Shanghai, Sabor is a whiff of fresh air you’ll want to take a long breath of. 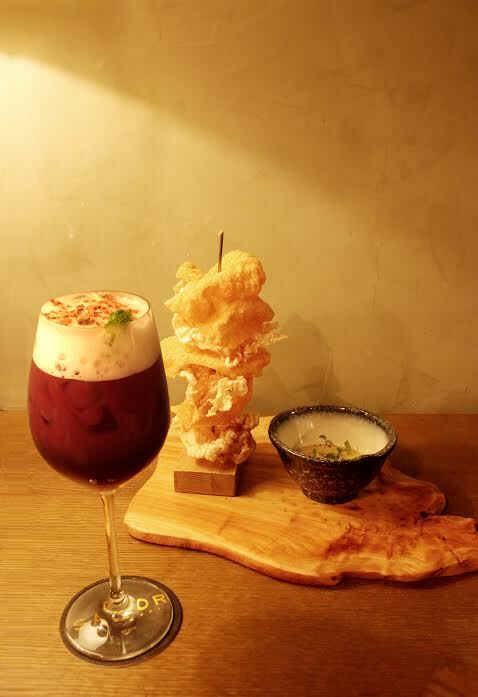 Three tasting menus are available for lunch: 8, 9 and 10 courses for 300RMB, 400RMB and 500RMB, respectively. In addition to an a la carte brunch menu, three different tasting menus are available on weekends during brunch (same courses and prices as lunch). Three different tasting menus are available for dinner: 9, 10 and 11 courses for 400RMB, 500RMB and 600RMB, respectively. 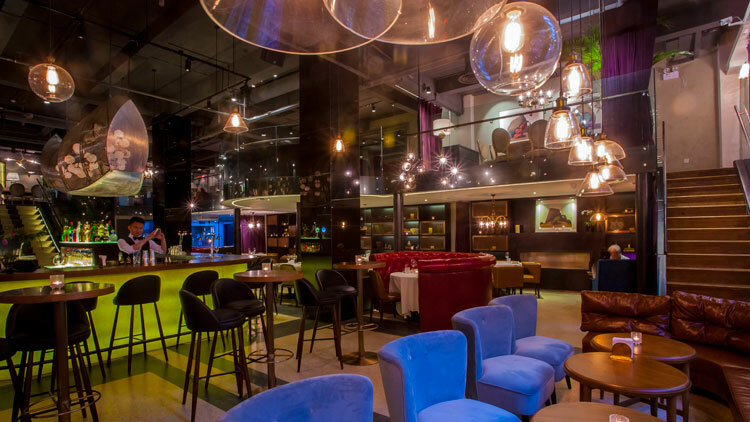 The late night menu (10.30pm-2am) on Thursday-Saturday is available at the bar with a special cocktail selection. 6-10.30pm daily; 11.30am-2.30pm (brunch on Saturday & Sunday); 10.30pm-2am Thu-Sat (late dinner).